I had seen the damp lying on the outside of my little window, as if some goblin had been crying there all night, and using the window for a pocket-handkerchief. 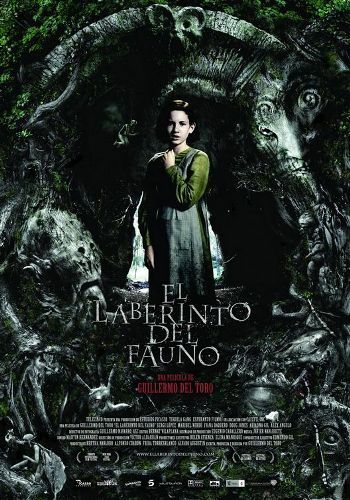 Pan’s Labyrinth is a dark fantasy film that follows the story of Ofelia, a young girl who discovers a magical underworld after following what she thinks is a fairy into the forest, and meets a cast of gruesome creatures who believe her to be their lost princess. 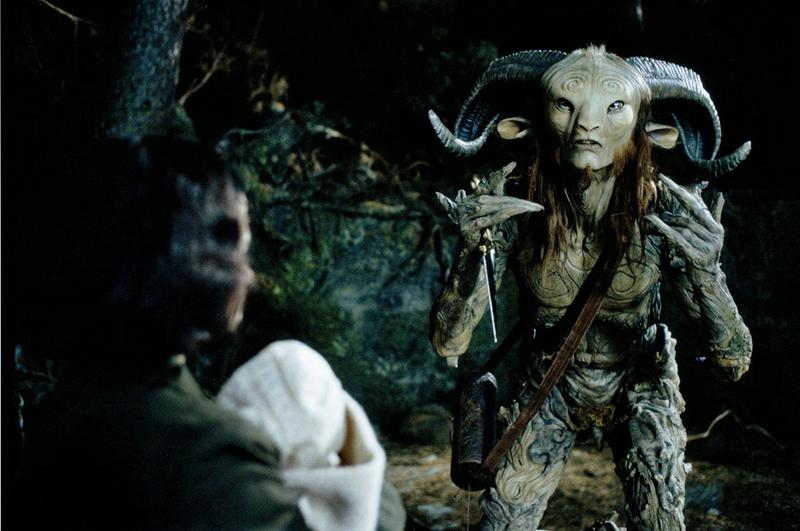 Directed by Guillermo del Toro, and based on “doodles, ideas, drawings, and plot bits” found in his notebooks. 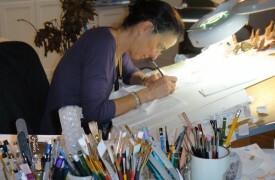 Art Director: Eugenio Caballero won the Academy Award for Best Achievement in Art Direction in 2006 for his work (with film set decorator Pilar Revuelta) on Pan’s Labyrinth. During the chilly last weekend in January, the Gnomes of Oakland were threatened. PG&E, clearly not understanding how integrated the gnomes had become in Oakland, “announced it would remove the diminutive, hand-painted creatures that have been proliferating around Lake Merritt for six months on the grounds they were ‘compromising’ utility equipment.” So said SFGate this morning, in their article PG&E grants reprieve to Oakland’s gnomes, which garnered home page real estate. But the weekend was tense. Channel 2 reported the story (follow to video) and the public came out in droves to support Oakland’s fairy brethren. 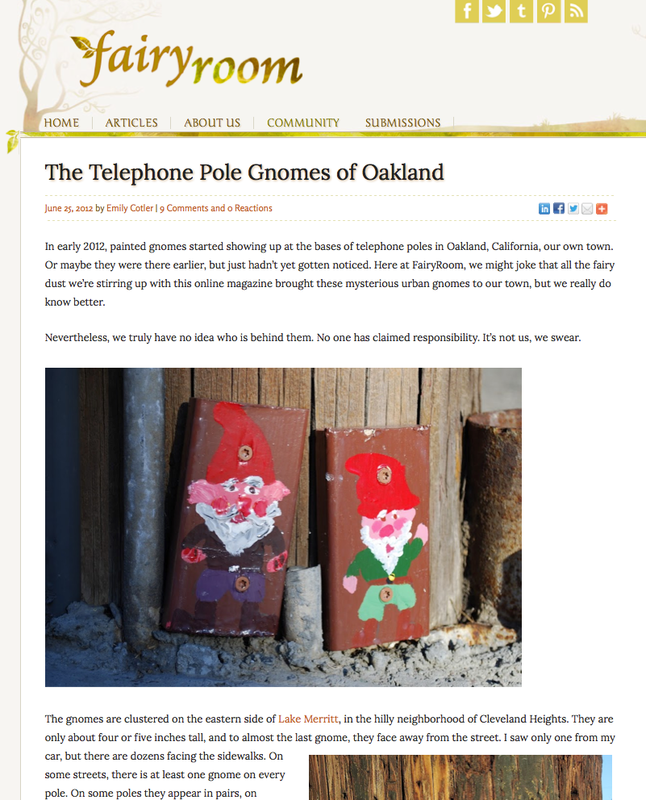 Here at FairyRoom, our article, entitled “The Telephone Pole Gnomes of Oakland,” posted last June, has been heavily trafficked. Oakland loves its gnomes. 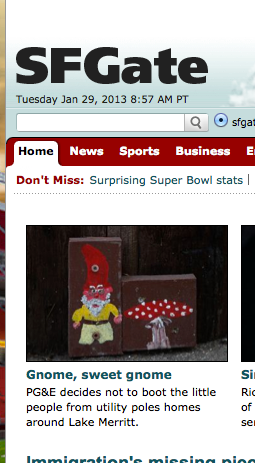 There are now over 2000 gnomes in Oakland. They are no longer contained to the neighborhood we reported on back at the beginning of summer. In a November article with the word “Gnomageddon” in the title, The Artist Resource & Review reported gnome expansion into a neighborhood adjacent to Jack London Square. More continue to appear almost every day. And these little guys have fans. The city responded by calling an emergency meeting with PG&E staff members. 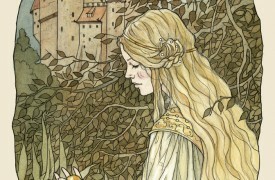 Though they came close to identifying him, neither the City of Oakland nor PG&E went as far as to actually name the artist, so again, let us all huzzah as massive corporate and municipal organizations embrace the fairy within and work together to preserve some homegrown whimsy and magic.